Book 2 in the blinddatebrides.com trilogy. It seems like just the other day when I met you on blinddatebrides.com. When my daughter signed me up I knew it was because she felt I'd sacrificed my life to bring her up alone. But you can still be forty and...flirty! But now things have gone further and faster that I could have imagined, because - well, we're pregnant! Noah - we need to talk. 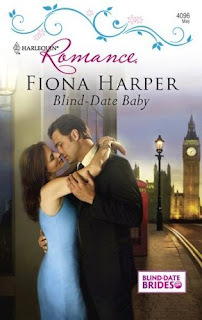 Read an excerpt from Blind-Date Baby. Take a look at the settings of Blind-Date Baby. In May, read Grace's blog as she takes her first steps in the world of online dating and comes away with a little more than she is expecting! Out May 2009 in North America and the United Kingdom!